The Nigg family welcomes you to the "Haus Inntalblick" farm! Thank you for reading our homepage. Take some time to become familiar with our house and our amenities. Family Nigg warmly welcomes you! 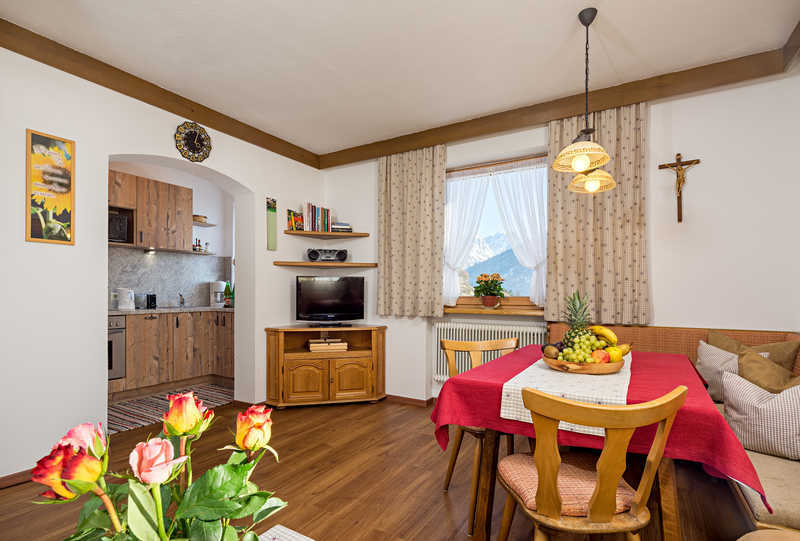 We offer a very sunny location amidst the Kaunergrat nature reserve, personal atmosphere, stunning views, ultimate tranquillity, cozy apartments and organic farming. We would be delighted to welcome you on our farm. Our guests can take full advantage of the Summer Card incl. free admission or reduced entrance rates for a wide range of activities and leisure time facilities! We would be delighted to welcome you on our farm! Amid the scenic Kaunergrat Nature Park you can restore new energies or explore some of the surrounding ski areas within 18km.